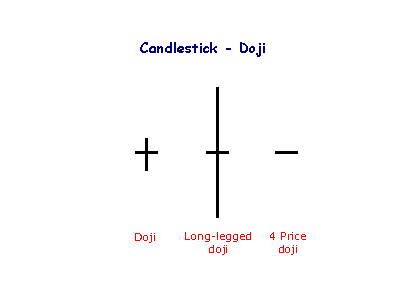 The Japanese have been using candlestick charts since the 17th century to analyze rice prices. If the close is higher than the open – the candlestick mid-section is hollow or shaded blue/green/White. If the open is higher than the close – the candlestick mid-section is filled in or shaded red/black. 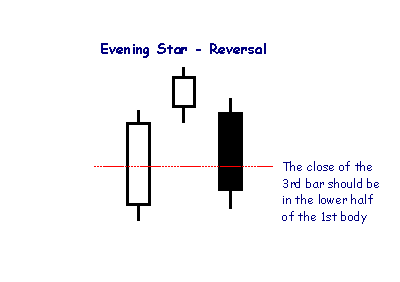 With candlestick charts you have the ability to highlight trends and reversal signals that may not be apparent on a normal bar chart. 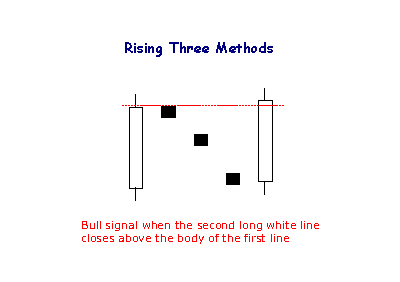 The long blue line is a sign that buyers are firmly in control – a bullish candlestick. A long red line shows that sellers are in control – definitely bearish. 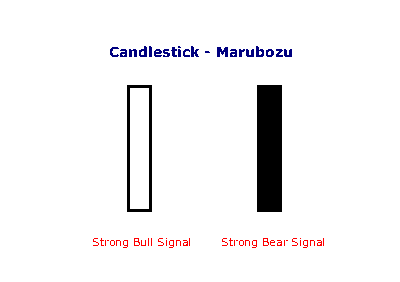 Marubozu are even stronger bull or bear signals than long lines as they show that buyers/sellers have remained in control from the open to the close. An open and close in the middle of the candlestick signal indecision. 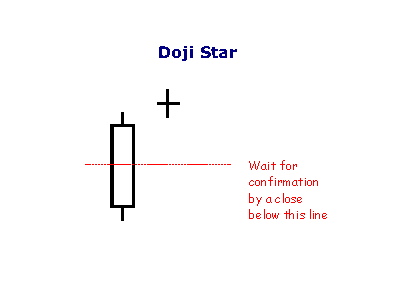 Long-legged dojis, when they occur after small candlesticks, indicate a surge in volatility and warn of a potential trend change. A gravestone is identified by open and close near the bottom of the trading range. 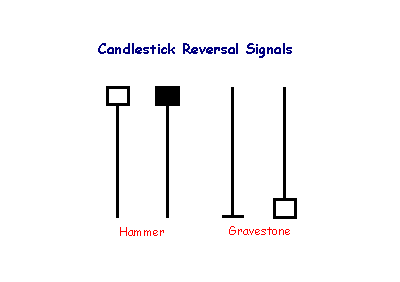 The candlestick is the opposite of a hammer and signals reversal when it occurs after an up-trend. 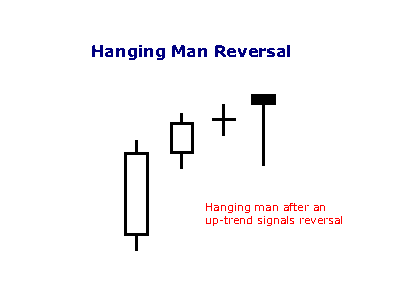 A hammer that occurs after an up trend is called a ‘hanging man’ and is a bearish signal. 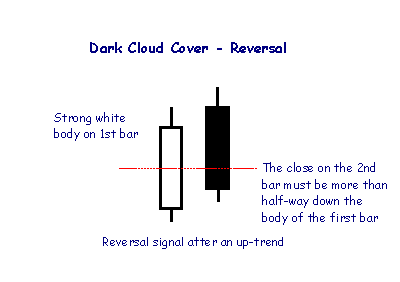 A Dark Cloud pattern encountered after an up-trend is a reversal signal, warning of “rainy days” ahead. 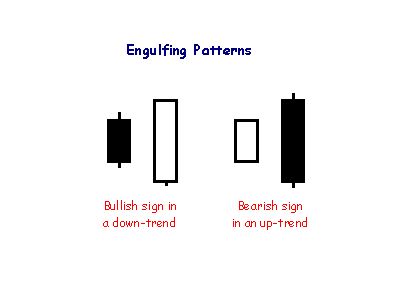 Engulfing patterns are where the body of the second candlestick ‘engulfs’ the first. 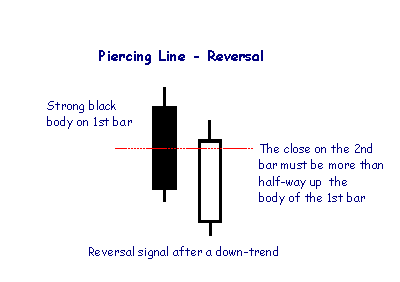 They often follow or complete doji, hammer or gravestone patterns and signal reversal in the short-term trend. 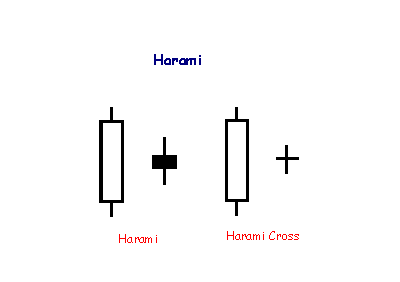 A Harami formation indicates loss of momentum and often warns of reversal after a strong trend. Harami means ‘pregnant’ which is quite descriptive. The second candlestick must be contained within the body of the first, though the shadows may protrude slightly. Stars are similar to gaps. A long body followed by a much shorter candlestick with a short body, where the bodies must not overlap — though their shadows may. 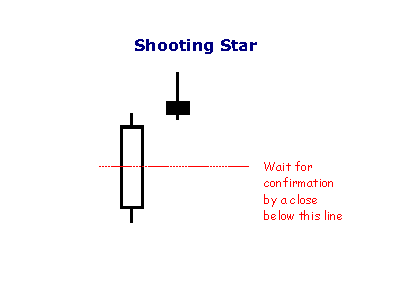 With a Shooting Star, the body on the second candlestick must be near the low — at the bottom end of the trading range – and the upper shadow must be taller. 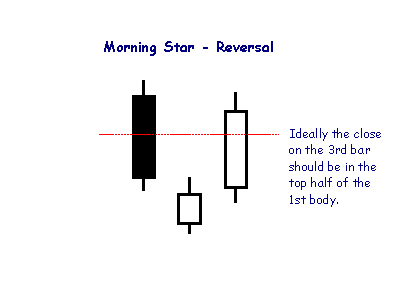 This is also a weaker reversal signal than the Morning or Evening Star. 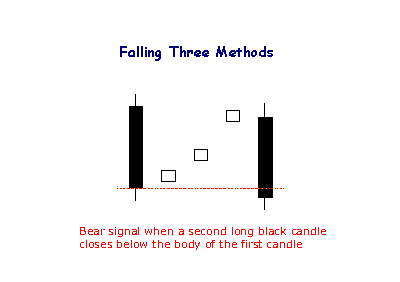 While candlesticks may offer useful pointers as to short-term direction, trading on the strength of candlestick signals alone is not advisable. 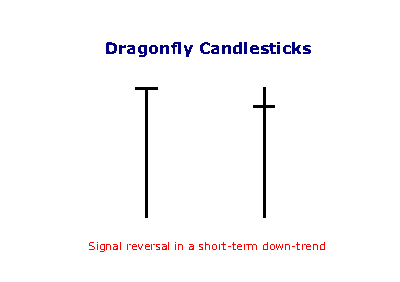 In the end they are just indicators, and are most useful when used in conjunction with other indicators. Also check out their Stock Screener.